What Do You do Once Home Safety Assessment Done? 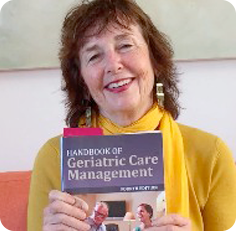 If you are a geriatric care manager or an aging professional and you have completed a home safety assessment, what is the next step? Check if a bonded handyman services available in your client’s community. Find out if Home improvement weatherization is available Weatherization Assistance Program (WAP) of US Dept energy. A critical part of a geriatric assessment is home safety. Why? Falls number 1 cause of death for older people 65 or over. On fifth of all households are maintained by person 65 or older. Why do older people wish to live at home – to maintain independence? With retirement nest eggs shrunken because of the recession, and 90 percent of older adults indicating they want to age in place at home. By 2020, the number of persons over age 85 who live alone is expected to double to 2.3 million. The majority of older women over 75 live alone. But older women in many cases have not been trained to do home repairs. Most lived traditional marriages. Older people develop chronic diseases that prevent them from doing simple or especially complex home repairs. Simple alteration can prevent 1/3 to 1/2 of all accidents with seniors. Modification of home can promote independence by preventing mishap that lead to the ER and maybe a nursing home. An example is if the problem -difficulty getting out of the shower then the intervention that a geriatric care manager or aging professional would suggest is install grab bars. This week we will look at home safety assessments and how they can help your older clients.